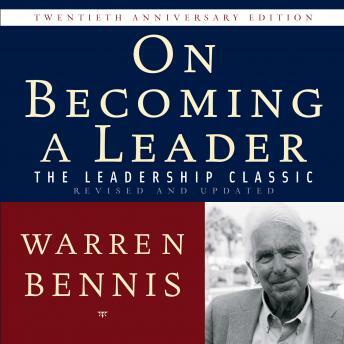 For many years, Warren Bennis has persuasively argued that leaders are not born-they are made. And for countless readers, On Becoming a Leader has served as a beacon of insight, delving into the qualities that define leadership, the people who exemplify it, and the strategies that anyone can apply to achieve it. In a world increasingly defined by turbulence and uncertainty, the call to leadership is more urgent than ever. Featuring a provocative new epilogue on the challenges and opportunities facing leaders today, this new edition will inspire the next generation and guide us into the future.